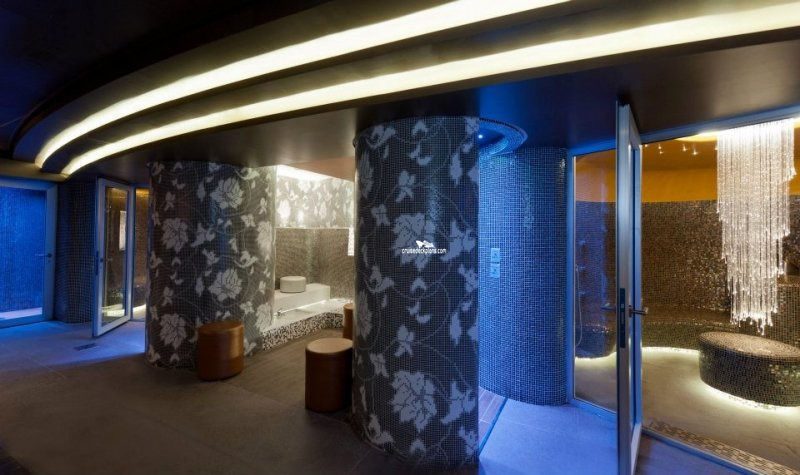 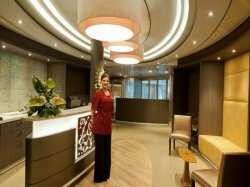 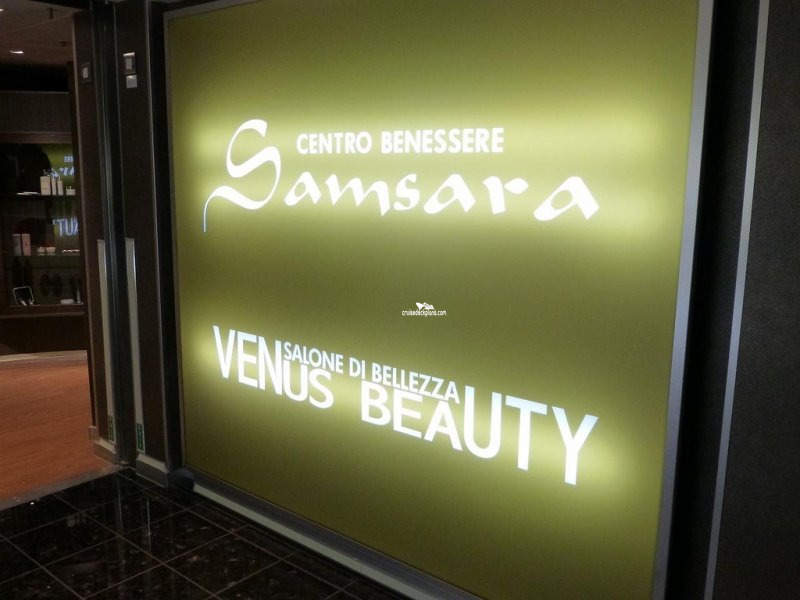 Reserved for guests staying in Samsara suites and cabins, and provides a low calorie breakfast, lunch and dinner menu. 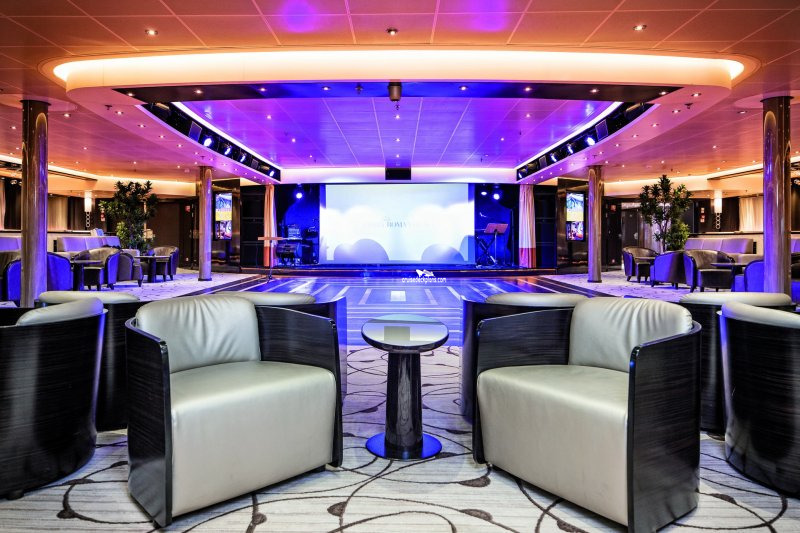 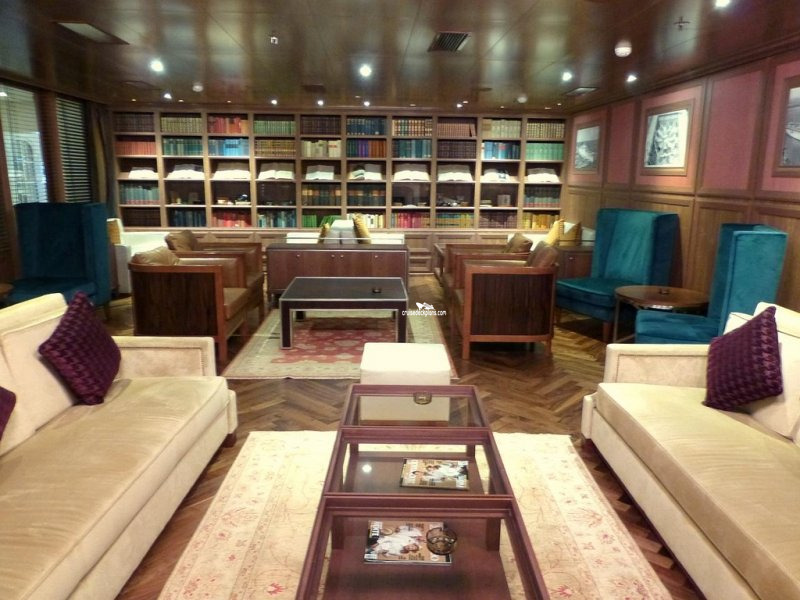 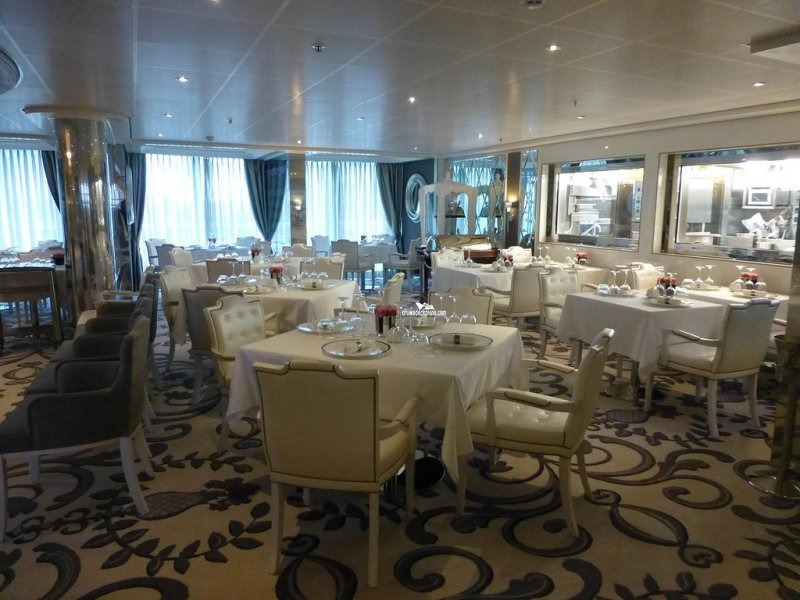 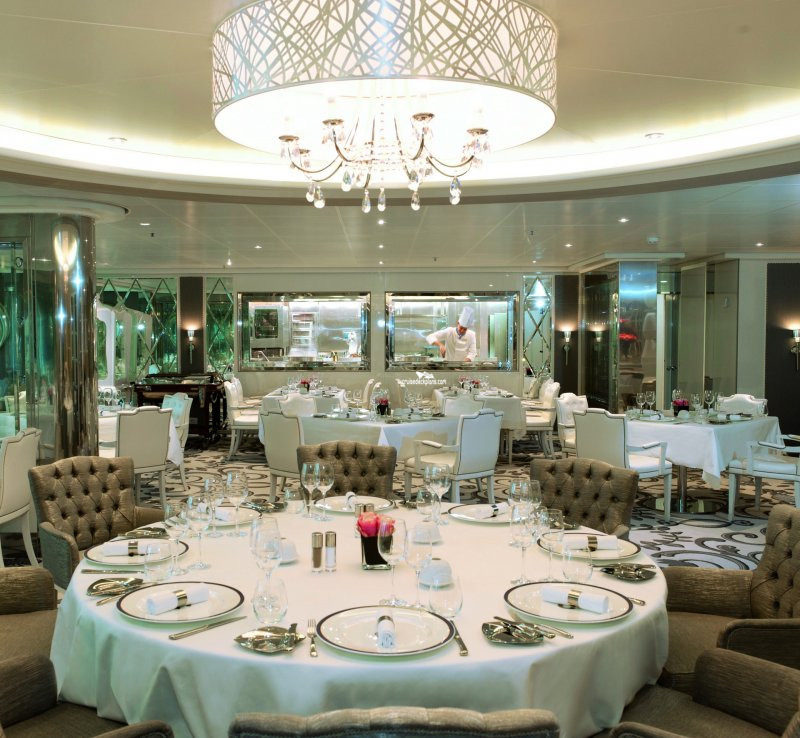 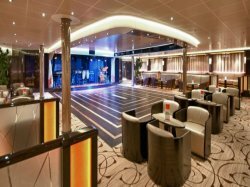 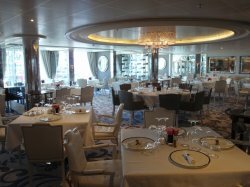 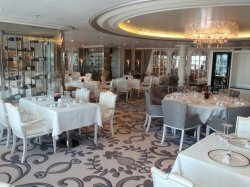 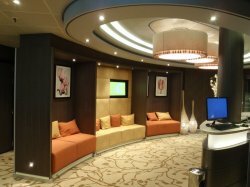 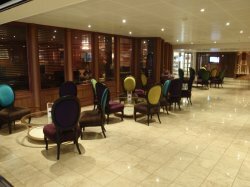 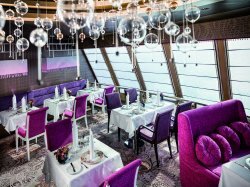 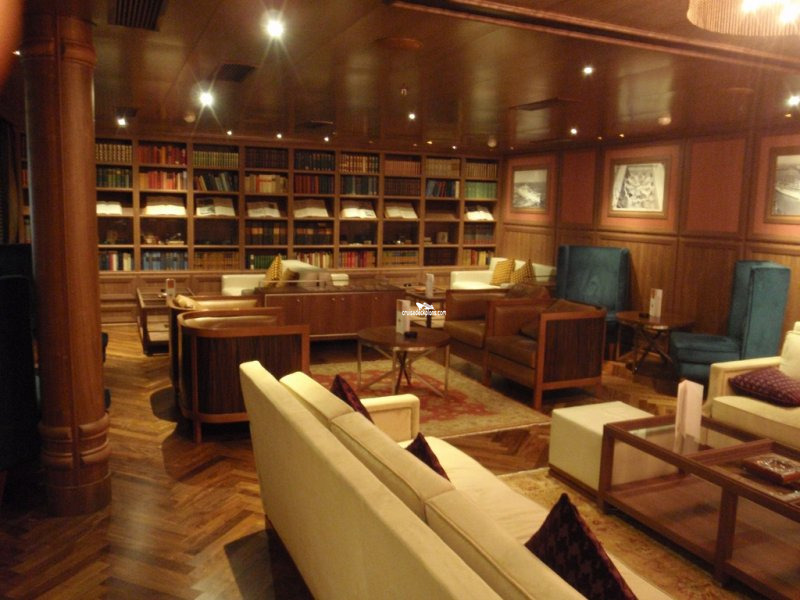 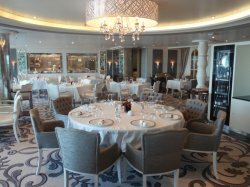 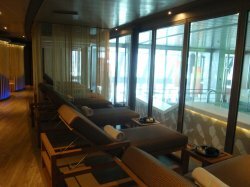 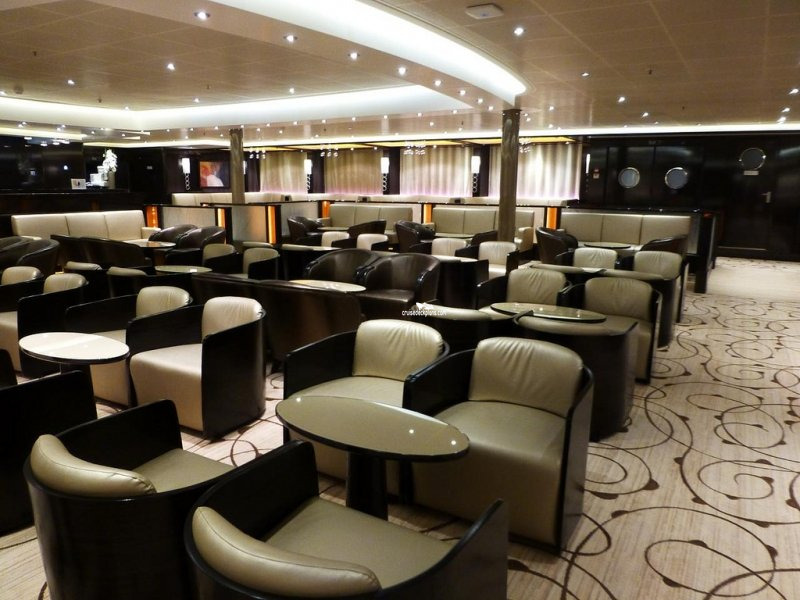 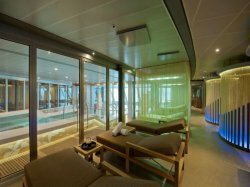 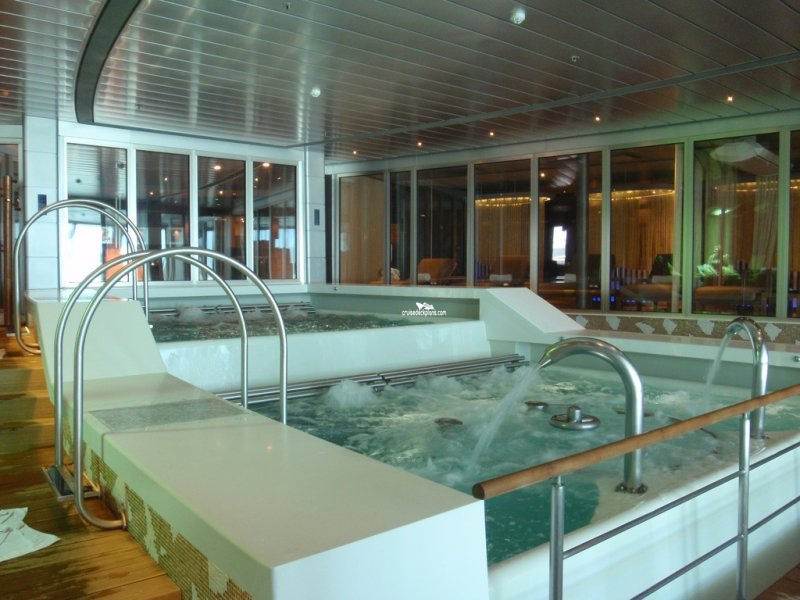 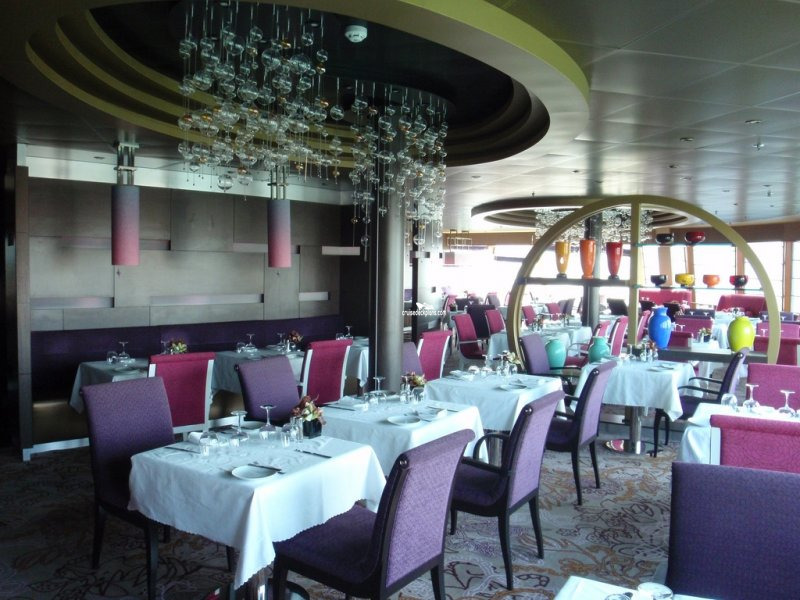 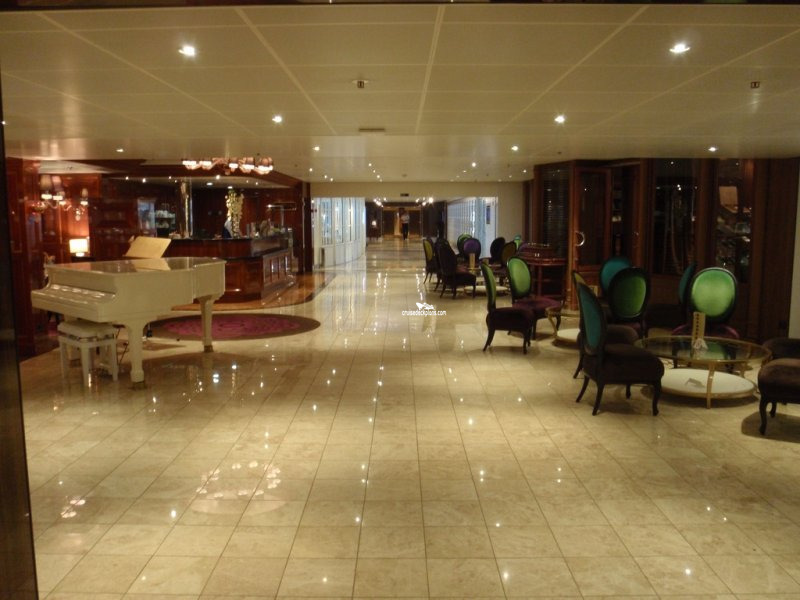 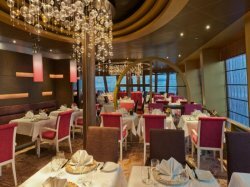 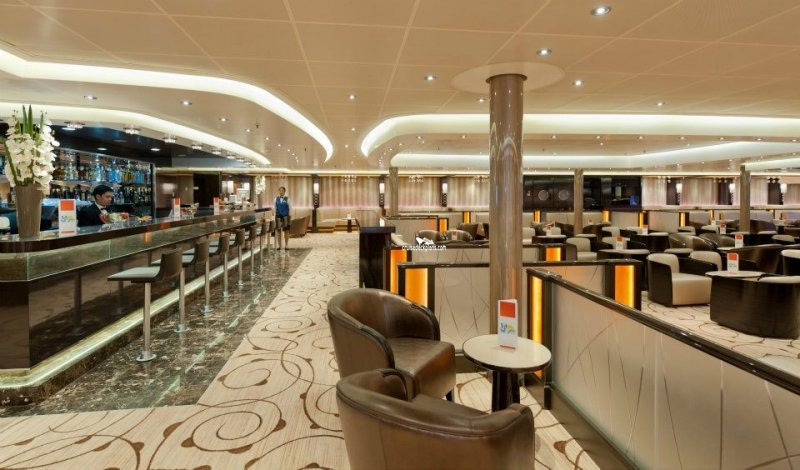 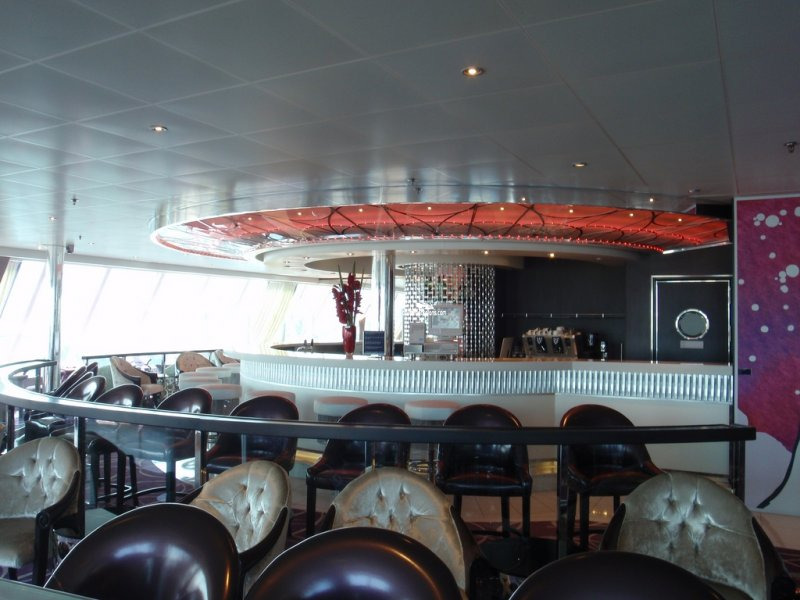 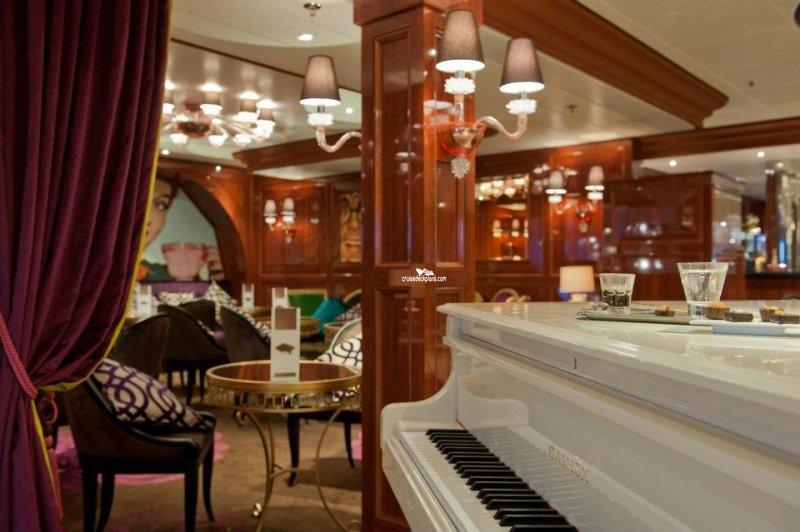 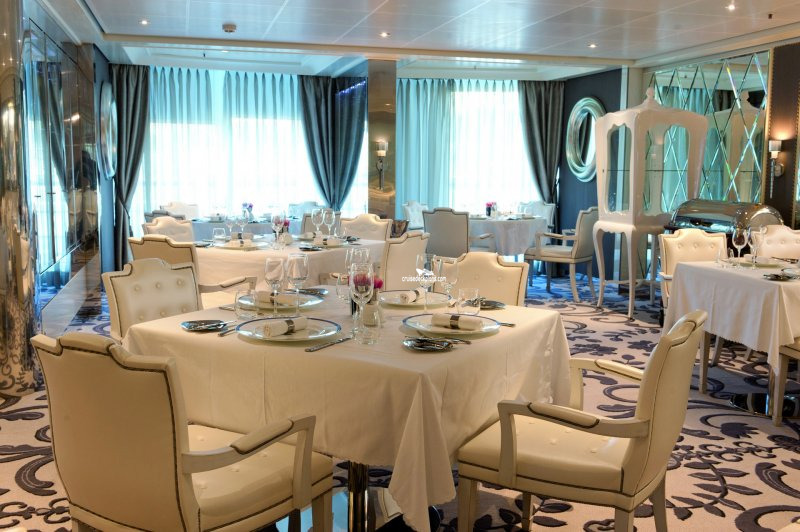 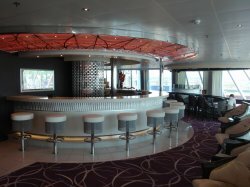 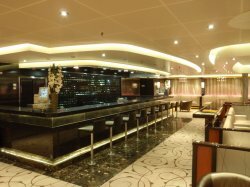 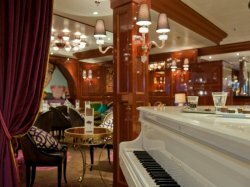 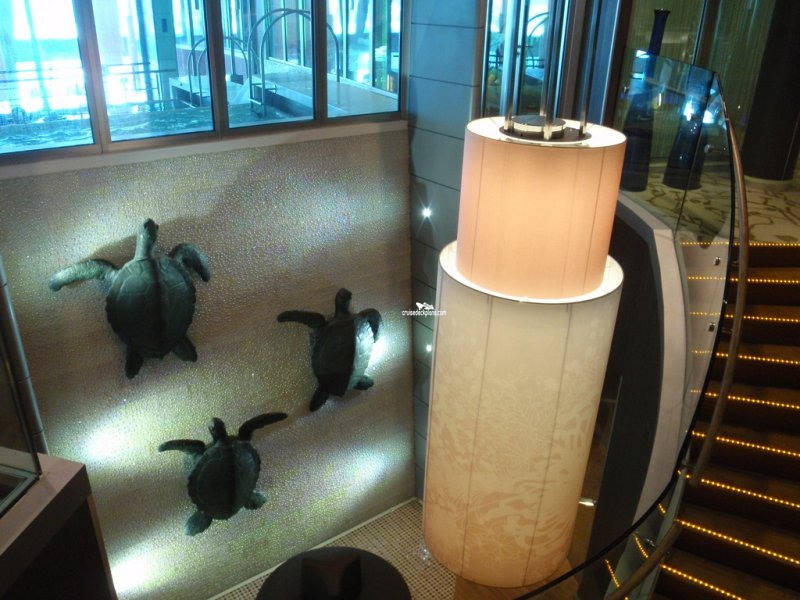 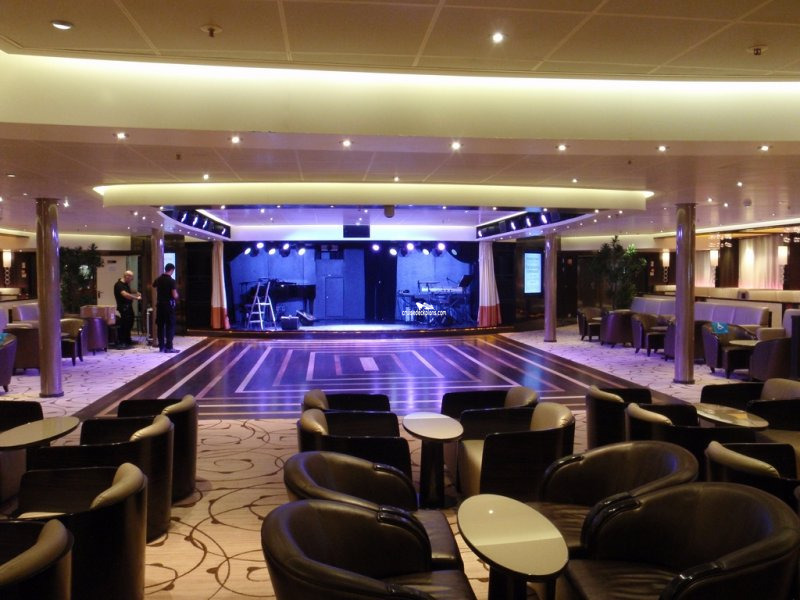 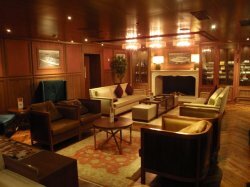 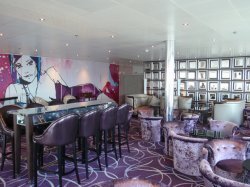 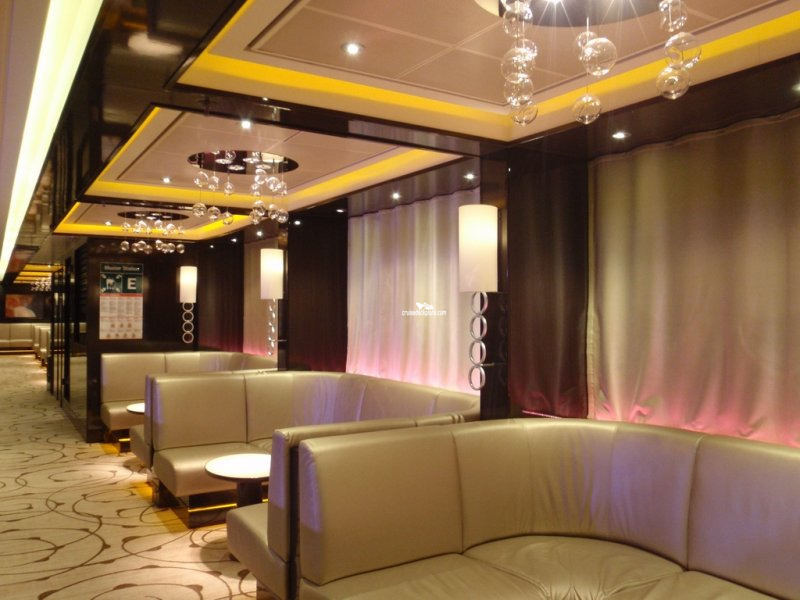 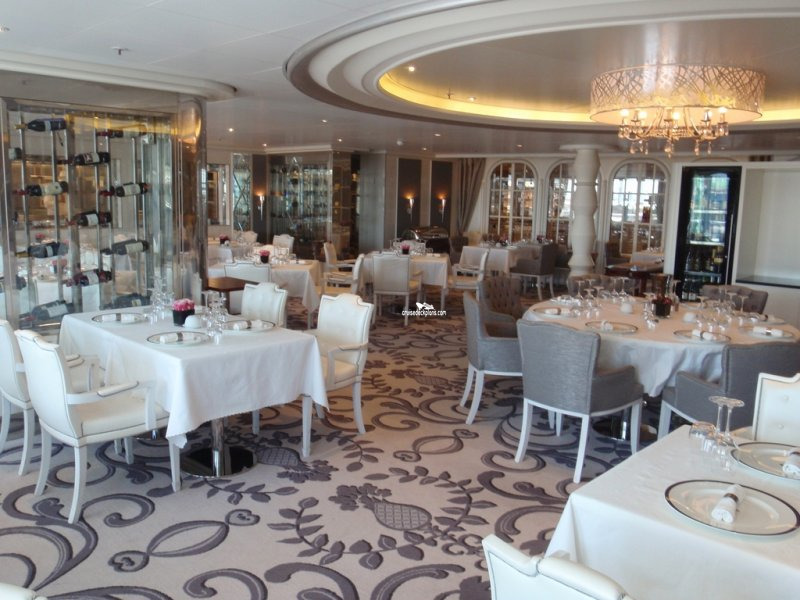 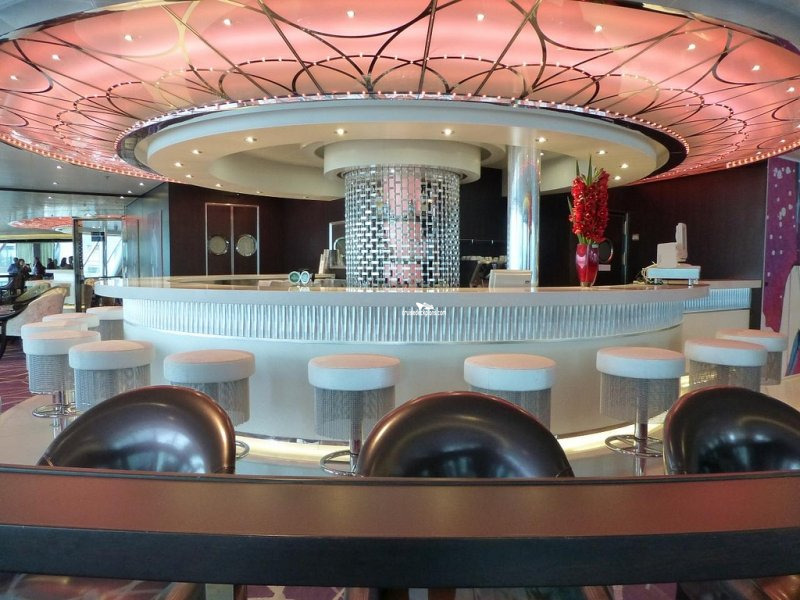 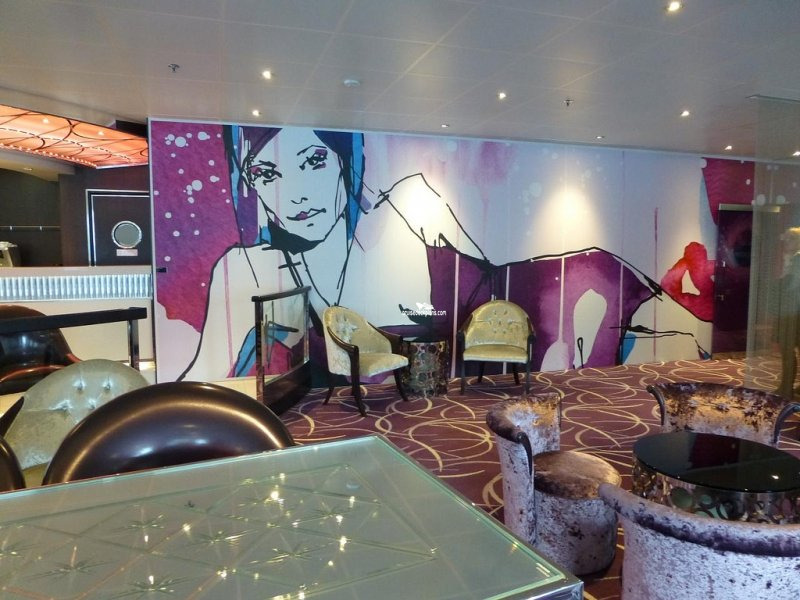 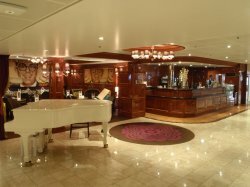 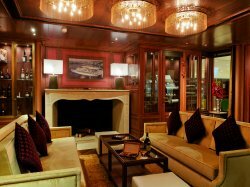 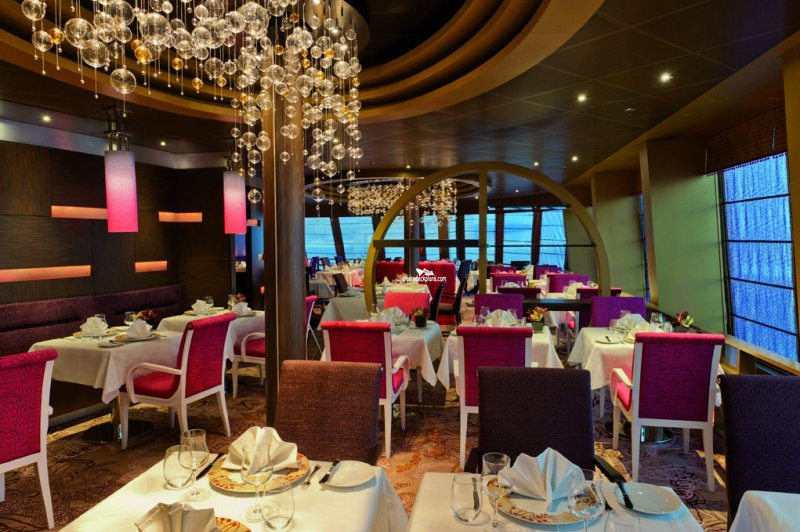 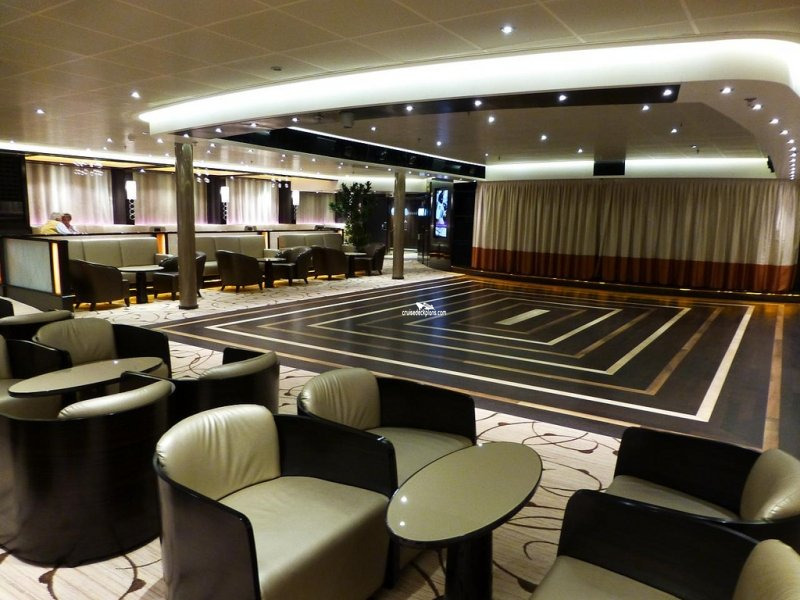 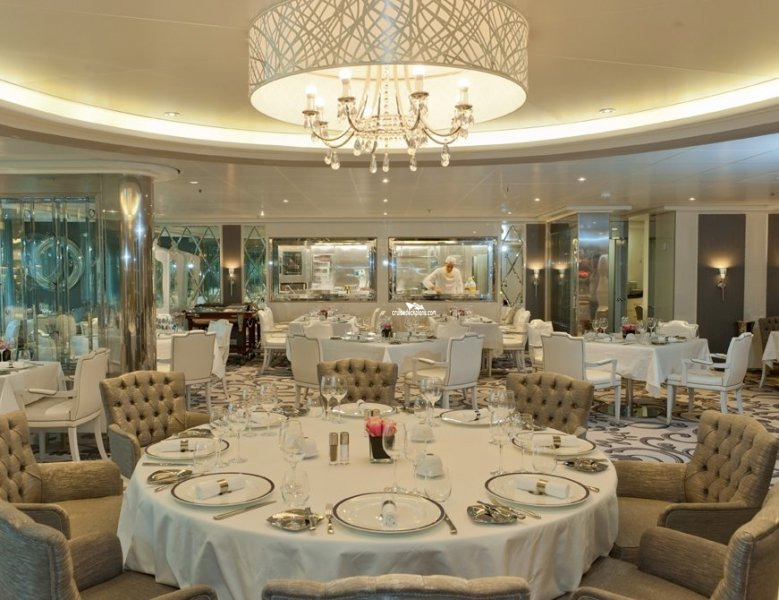 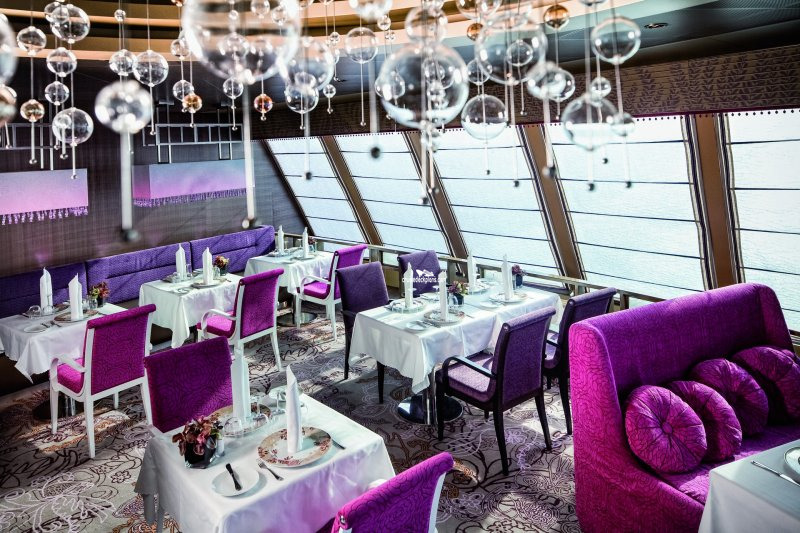 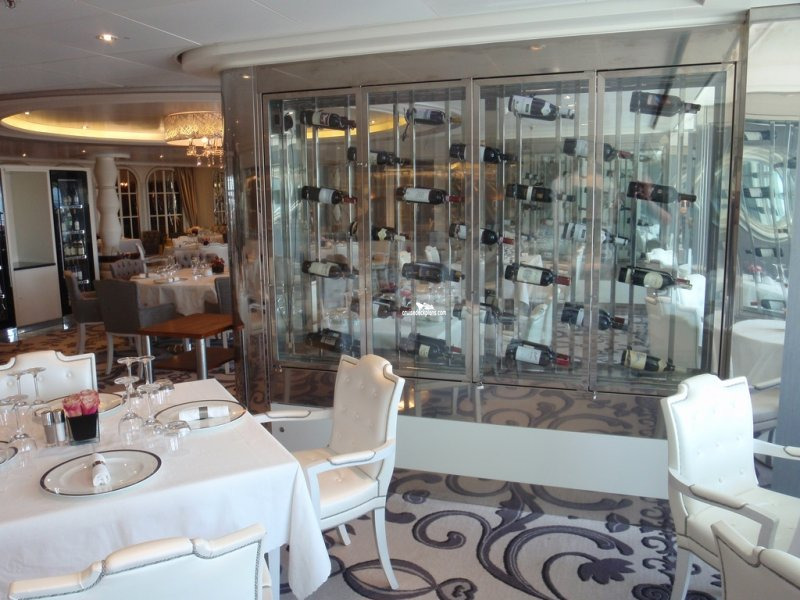 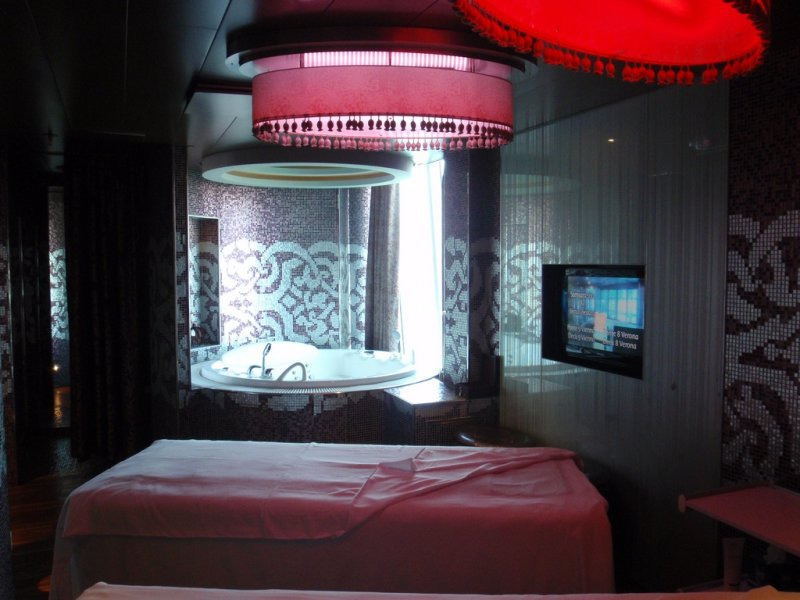 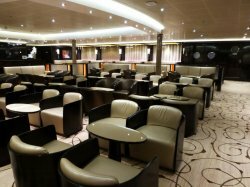 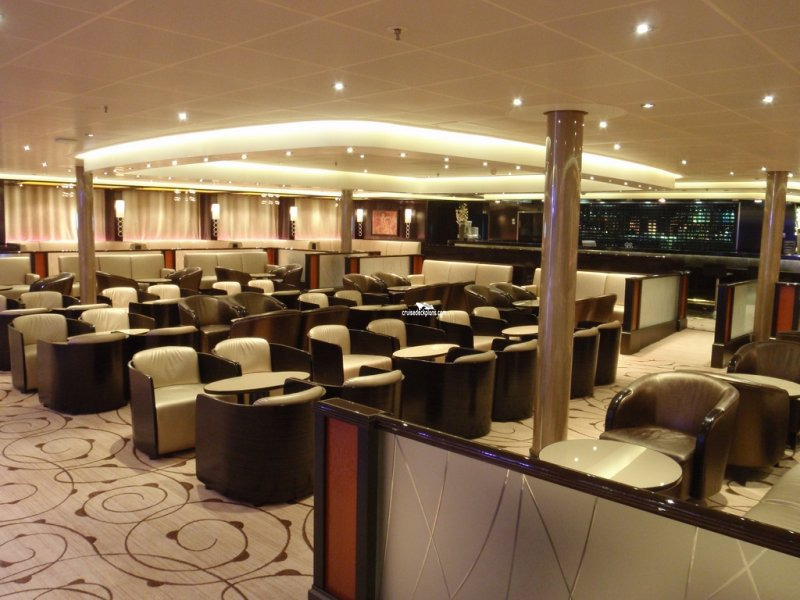 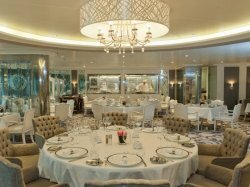 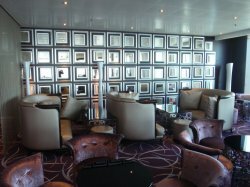 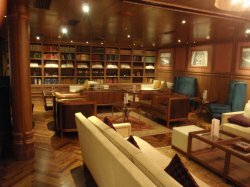 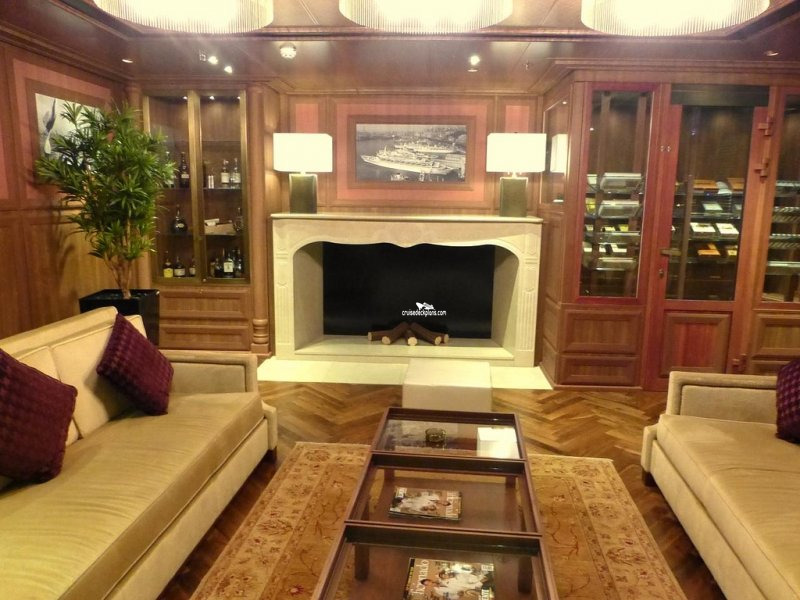 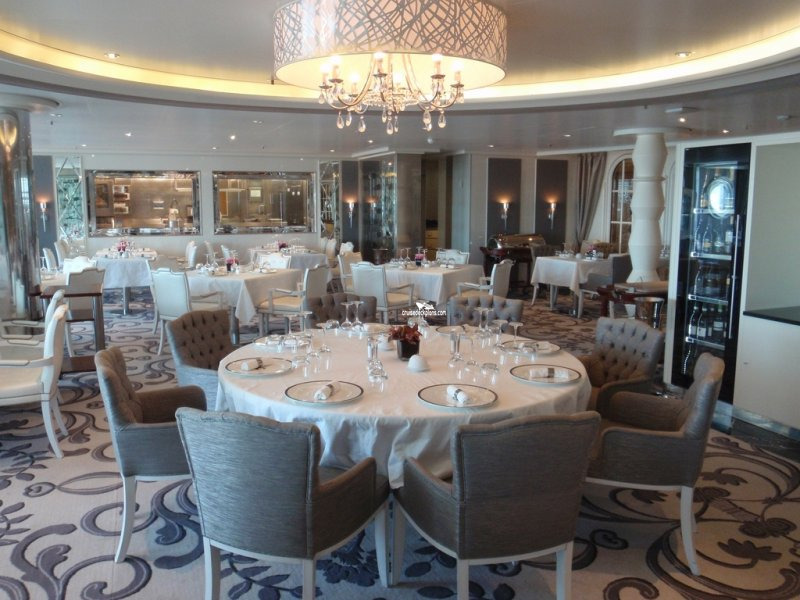 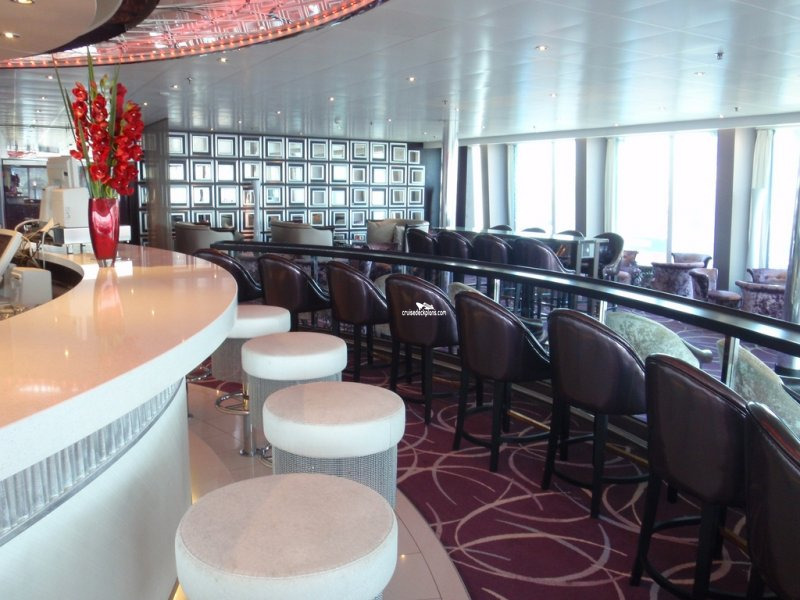 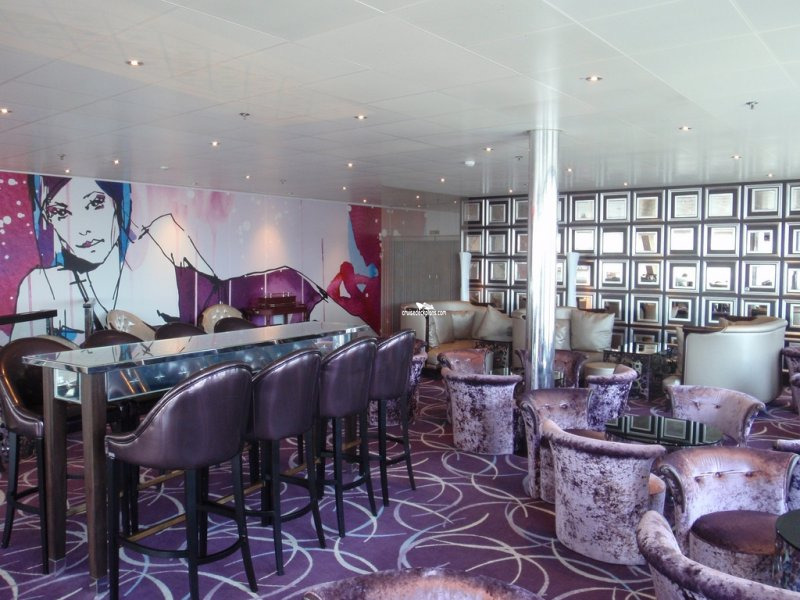 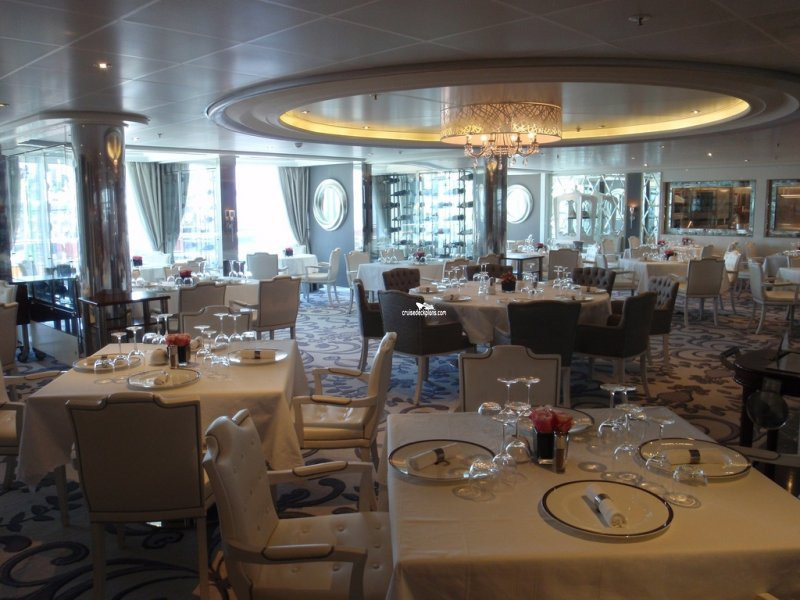 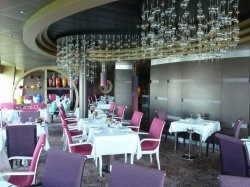 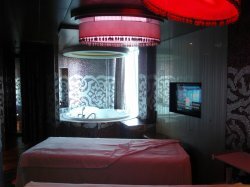 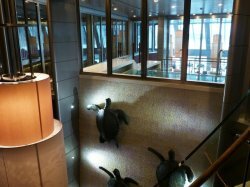 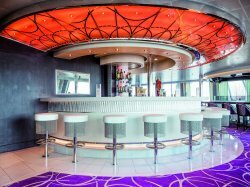 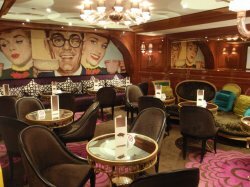 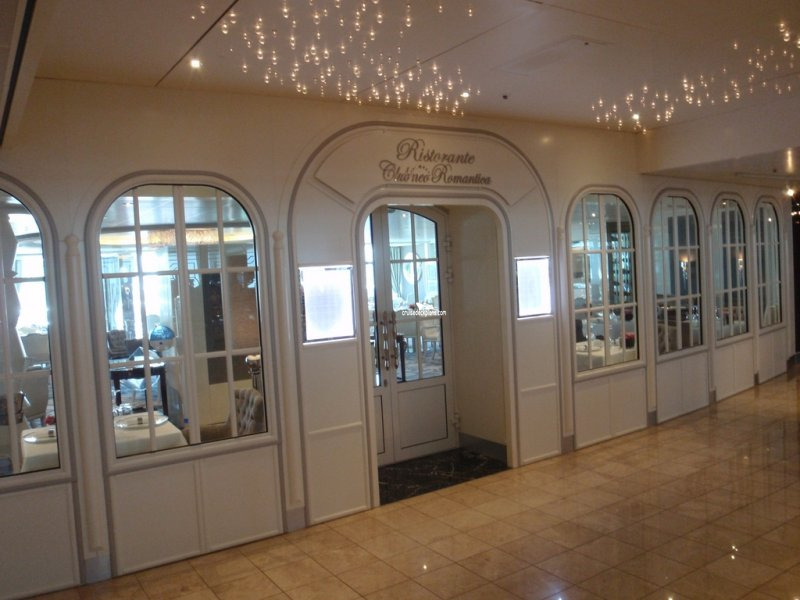 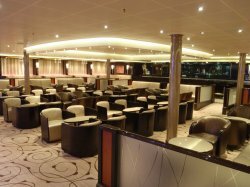 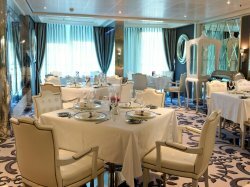 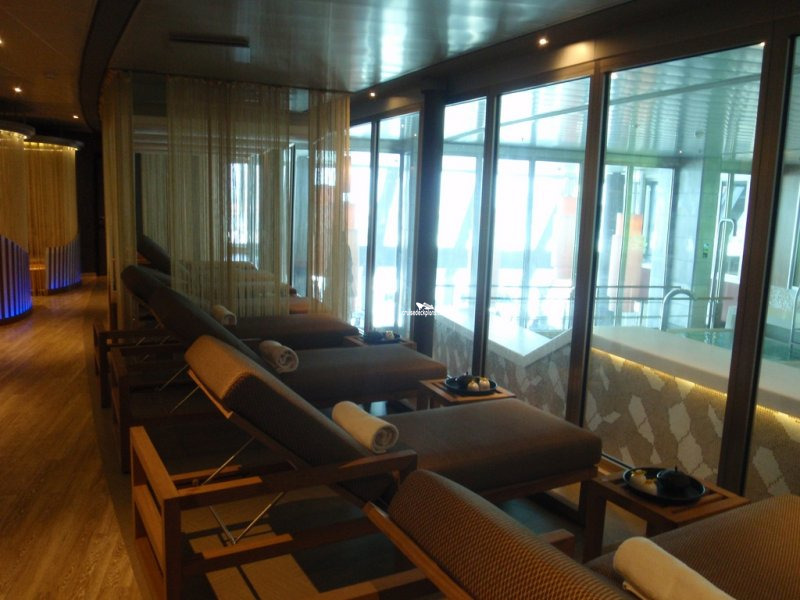 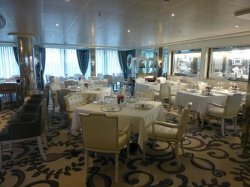 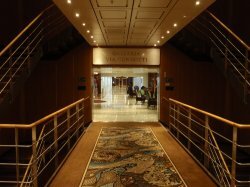 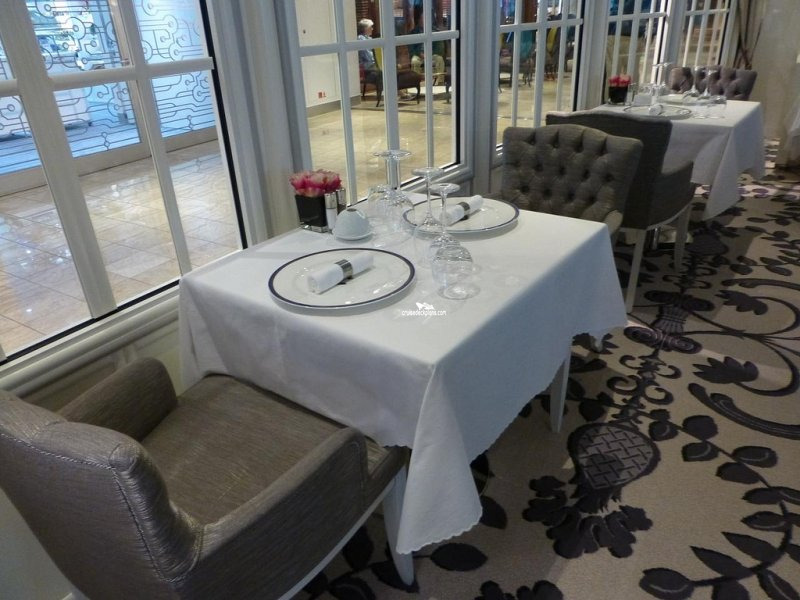 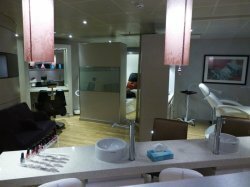 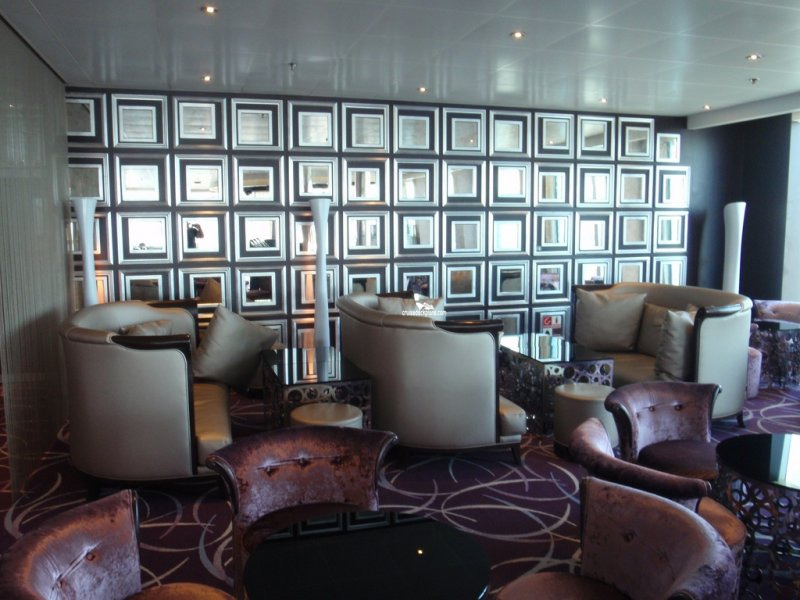 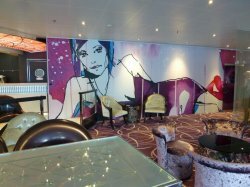 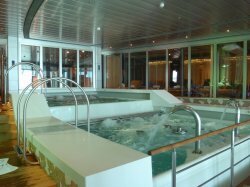 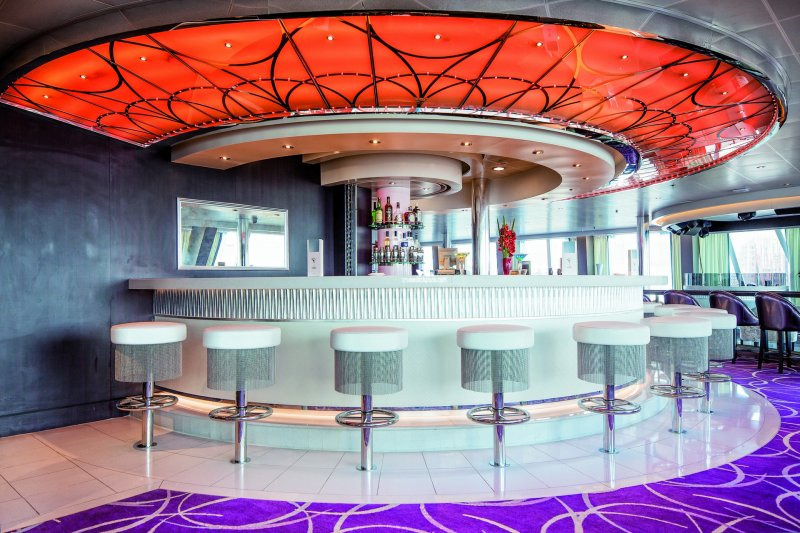 The ship's disco lounge with gentle lighting and warm atmosphere. 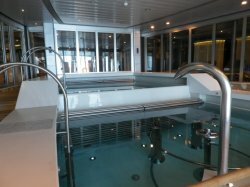 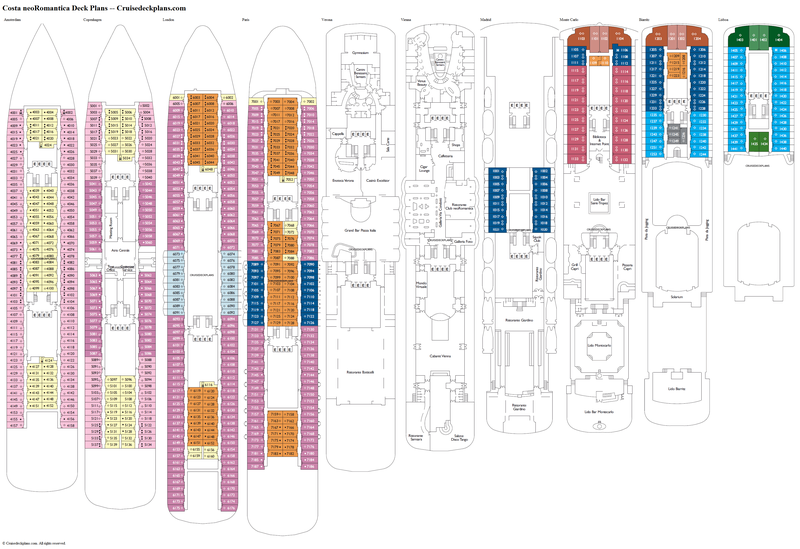 Created to host the ship's main entertainment programmes. 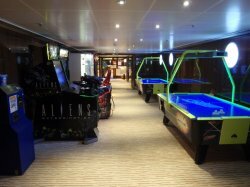 The virtual world game room, featuring a range of video games from car racing to shooting games. 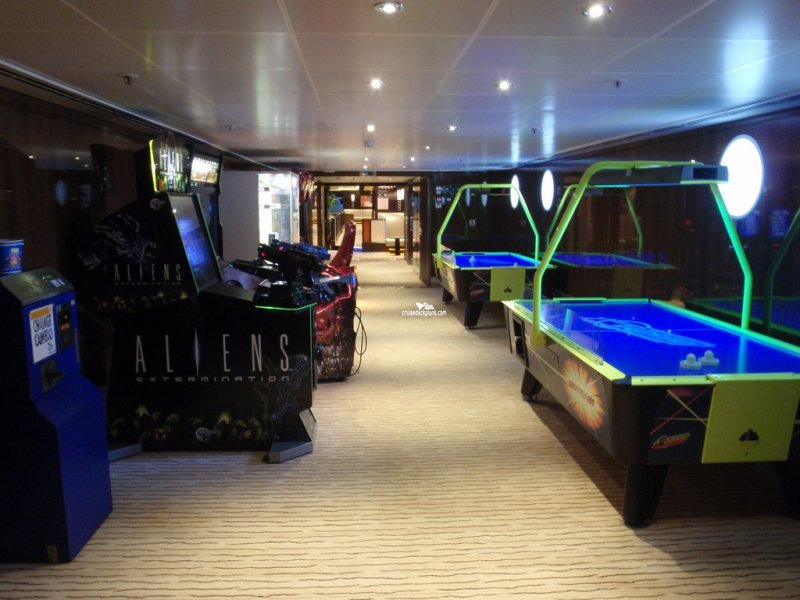 It also has two air hockey tables. 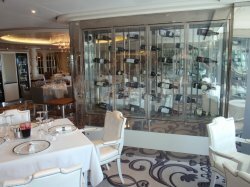 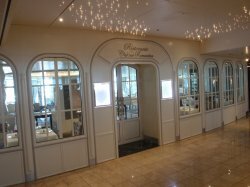 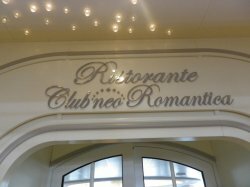 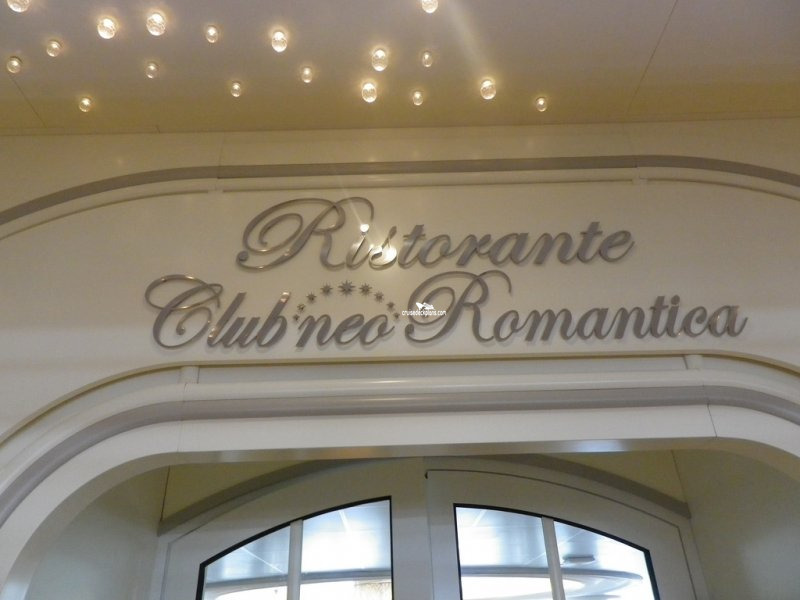 This extra-charge restaurant is open for dinner serving an a la carte menu offering a selection of traditional Italian and French cuisine. 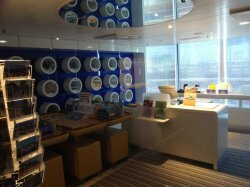 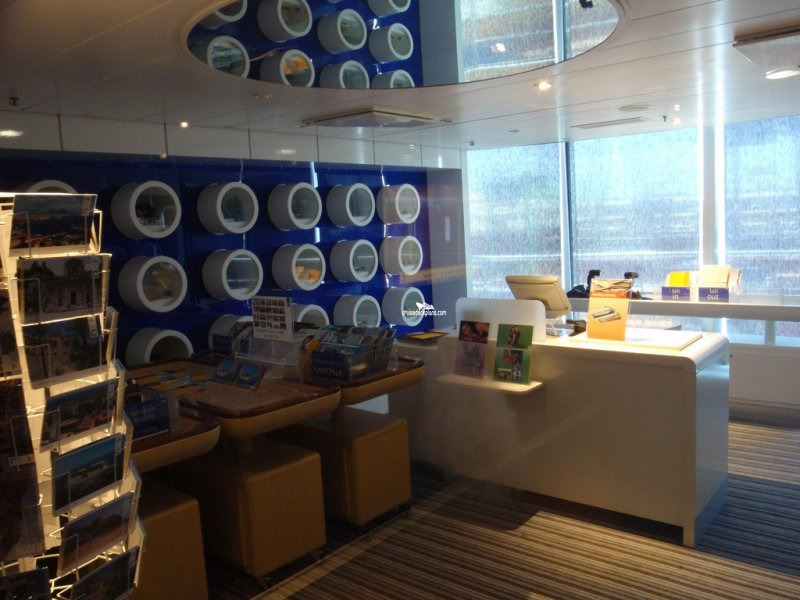 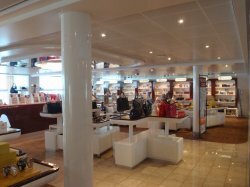 The ship's photo shop where passengers can purchase cameras and accessories along with photos taken by the ship's on-board photographers on ship and at ports of call. 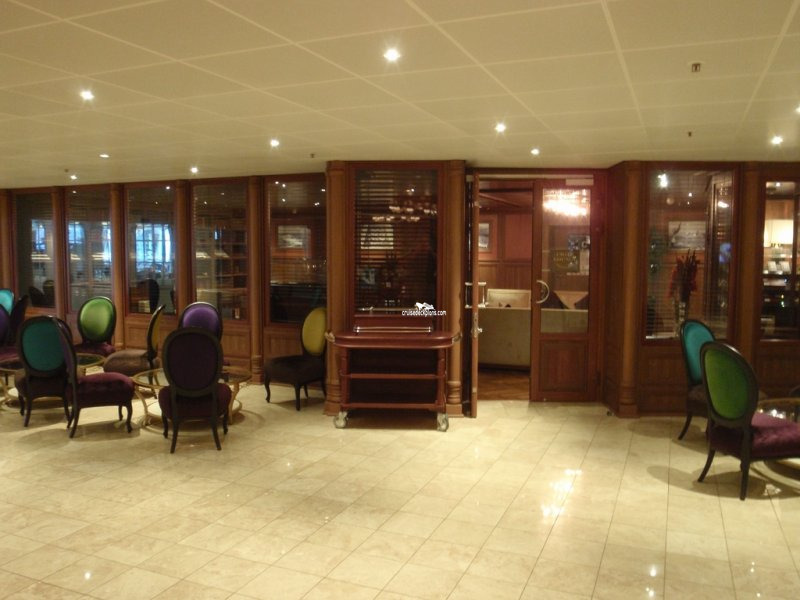 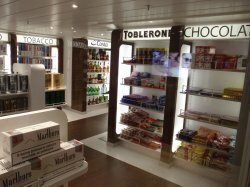 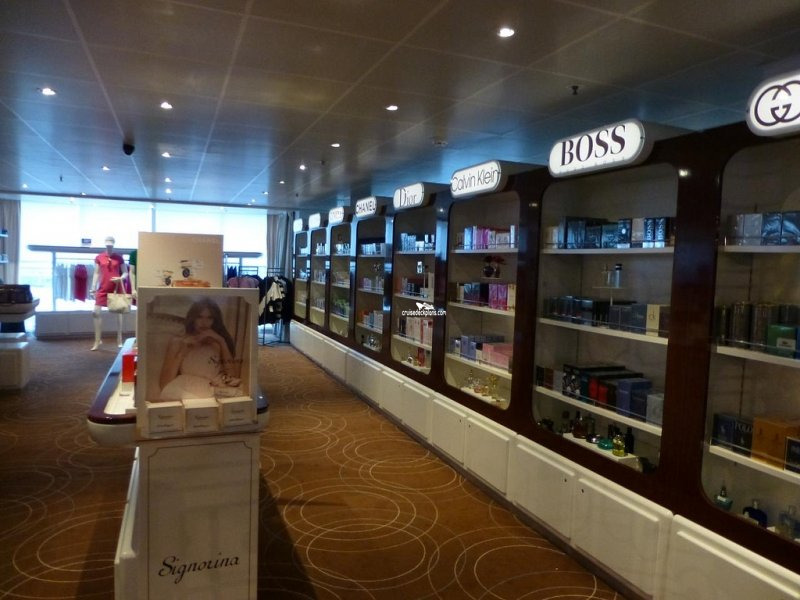 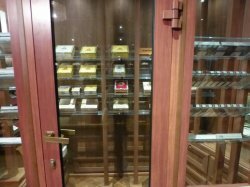 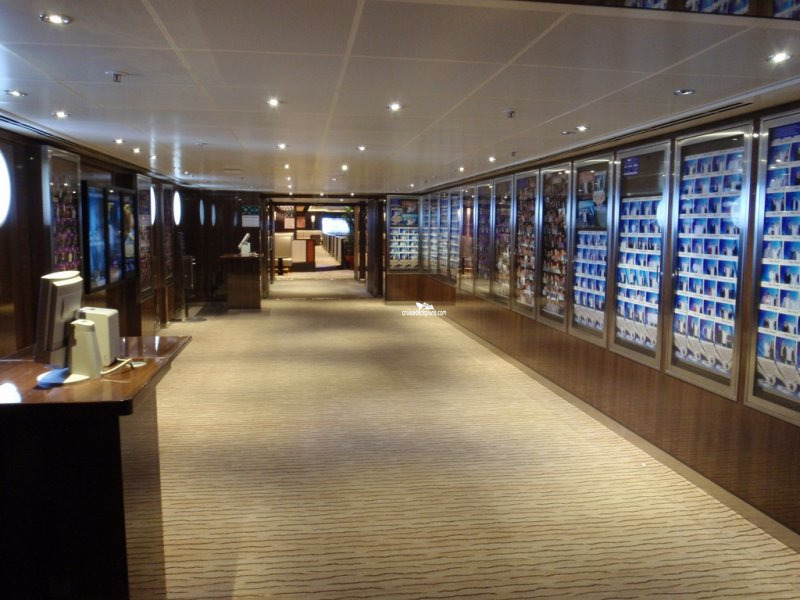 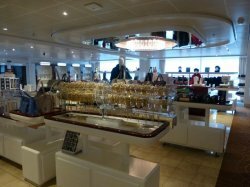 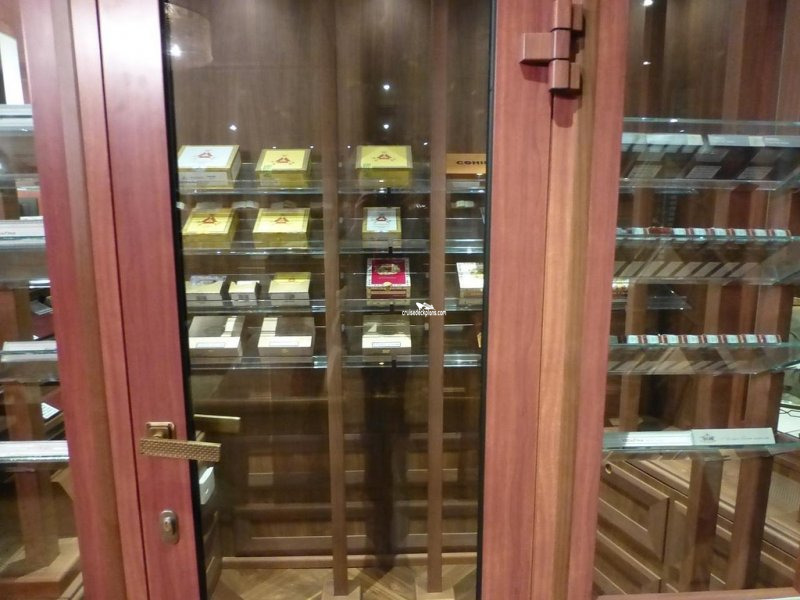 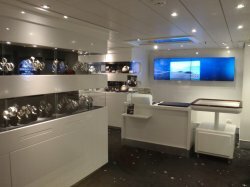 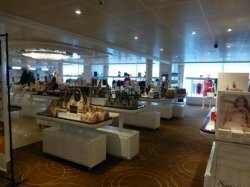 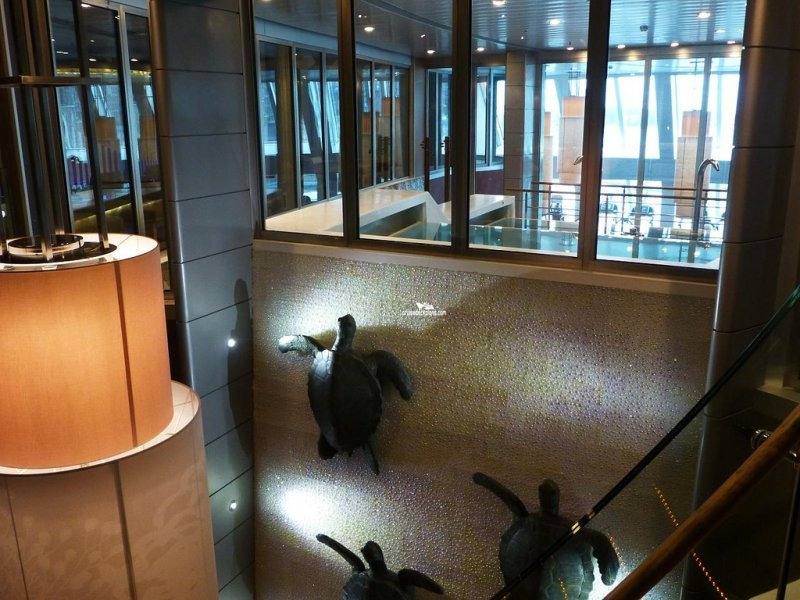 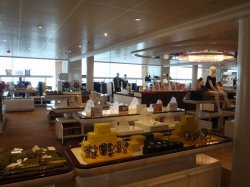 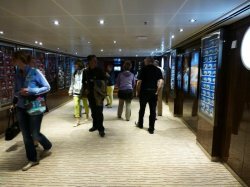 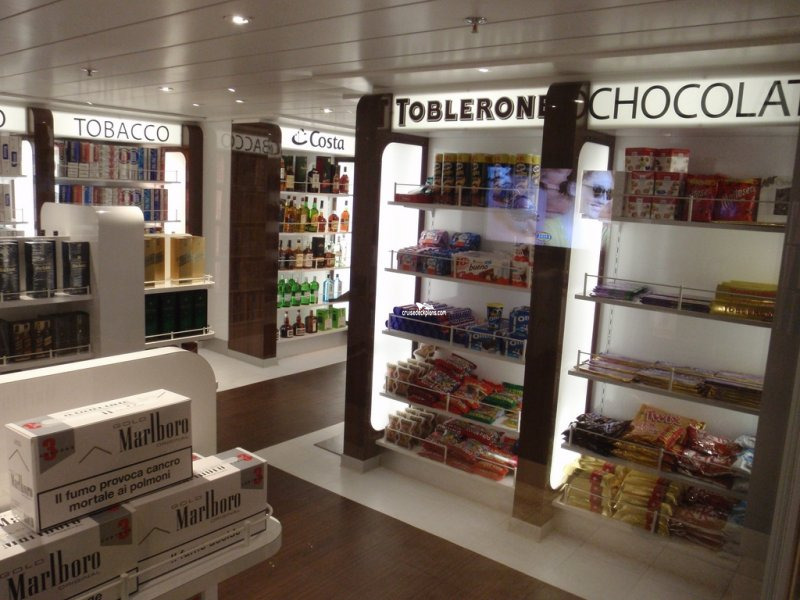 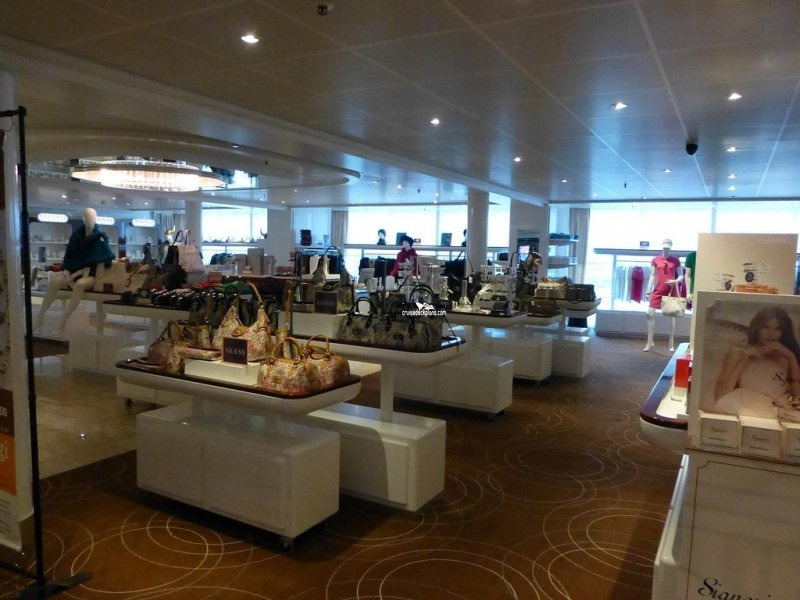 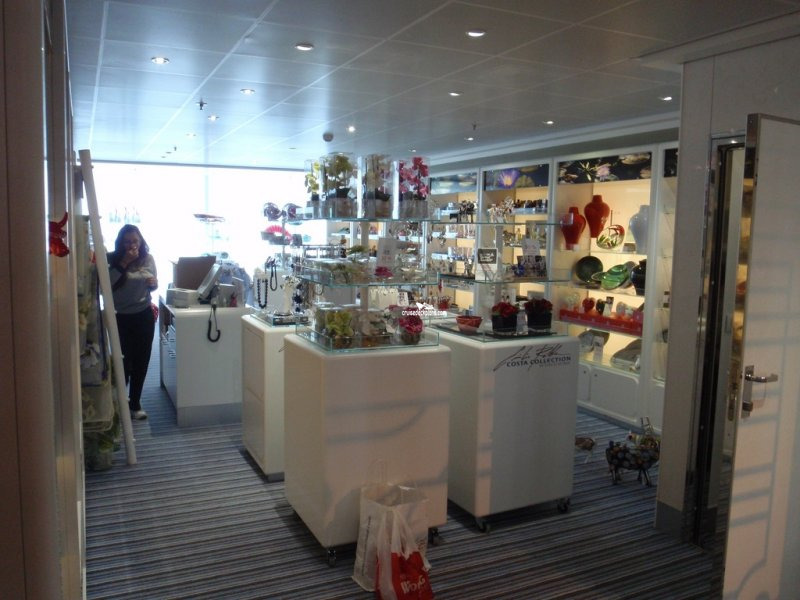 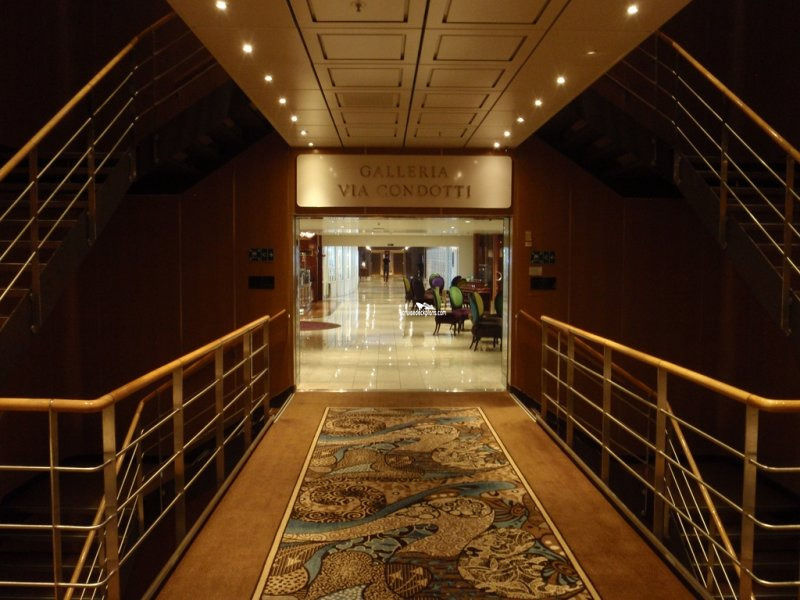 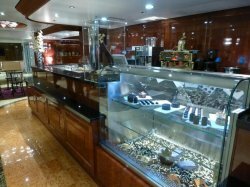 The location of the ship's shops selling a range of items from clothing, handbags and watches to duty free drinks. The bar serves a selection of handmade chocolates and pralines along with a selection of warm or cold chocolate beverages and Arabica coffee blends. 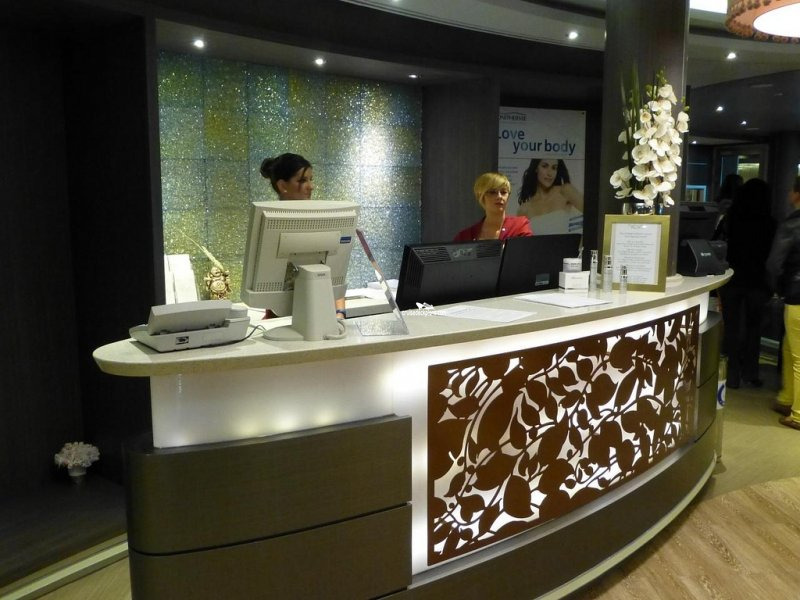 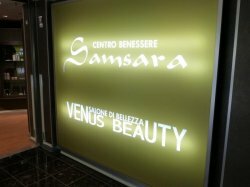 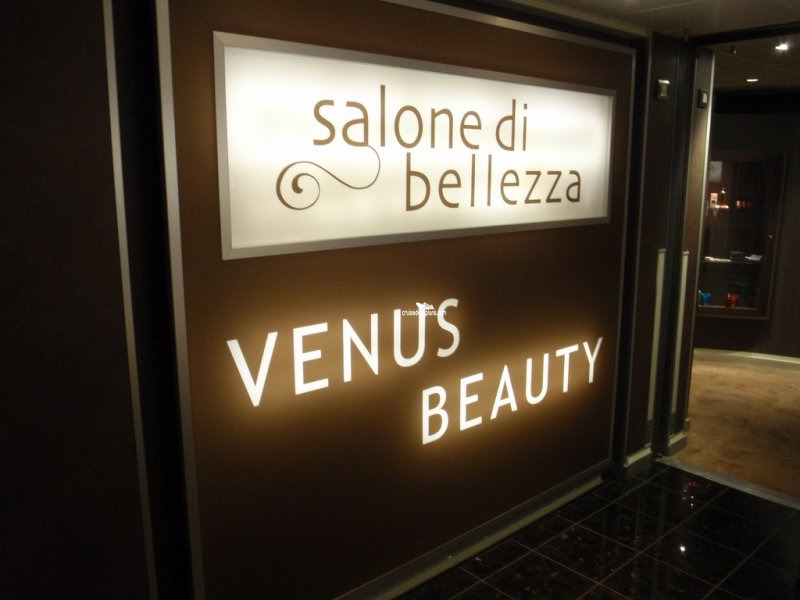 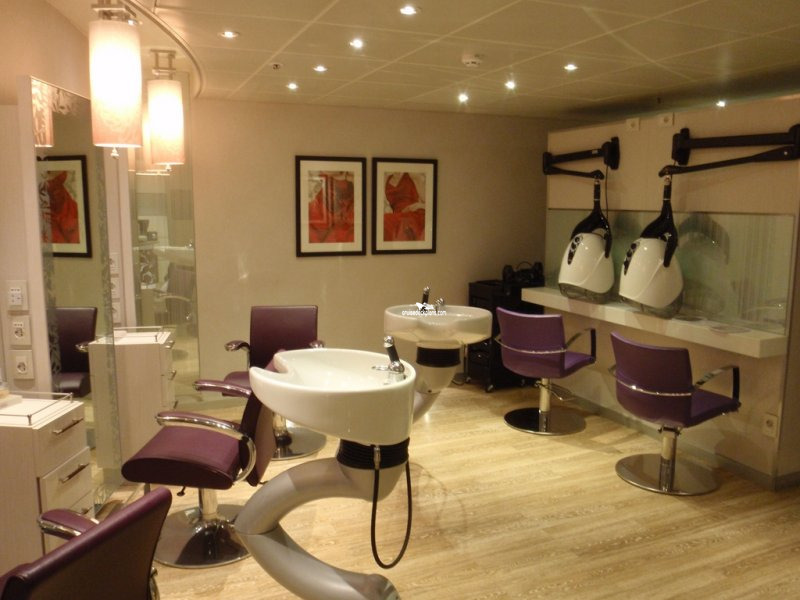 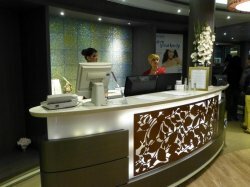 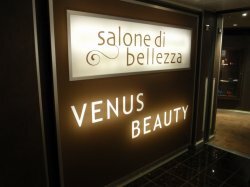 A unisex salon offering a range of services from cuts and colours to manicures.